AMF is delighted and honored that founder Rob Mather has been presented with the Commonwealth's 53rd Point of Light award, representing the United Kingdom. The Commonwealth Points of Light are awarded by Her Majesty the Queen to recognize outstanding individual volunteers who are making a change in their community. 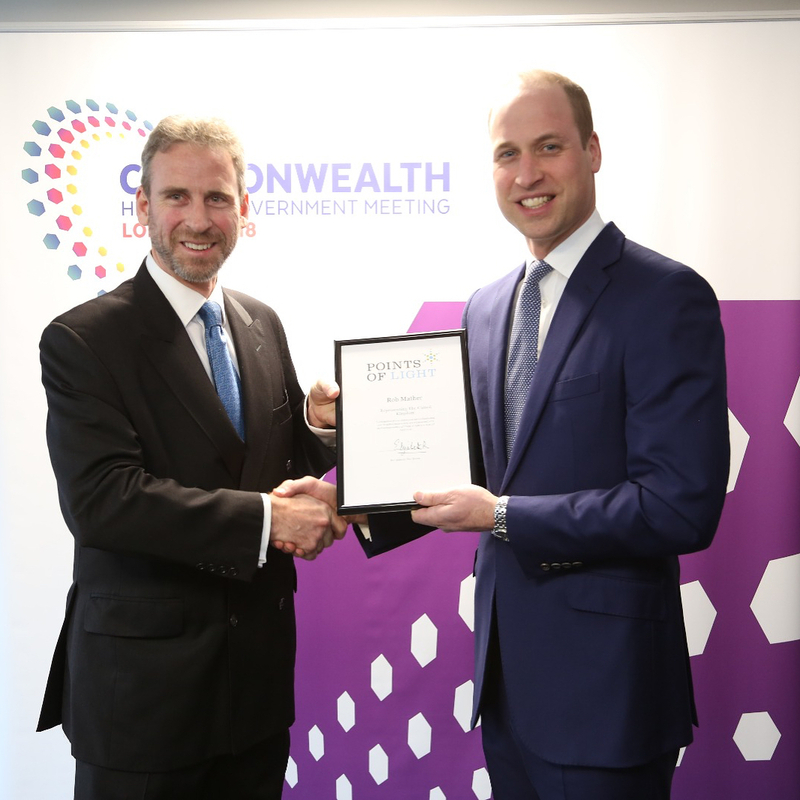 The award for Rob was presented by HRH Prince William, the Duke of Cambridge, on 16th April, the opening day of the Commonwealth Heads of Government Meeting, at the Queen Elizabeth II Centre. “It is an honour to have the work of the Against Malaria Foundation (AMF) recognised in this way. Many people and organisations have supported AMF in a voluntary capacity over many years and this recognition is of them also as AMF would not have been able to contribute in the way it has without them. 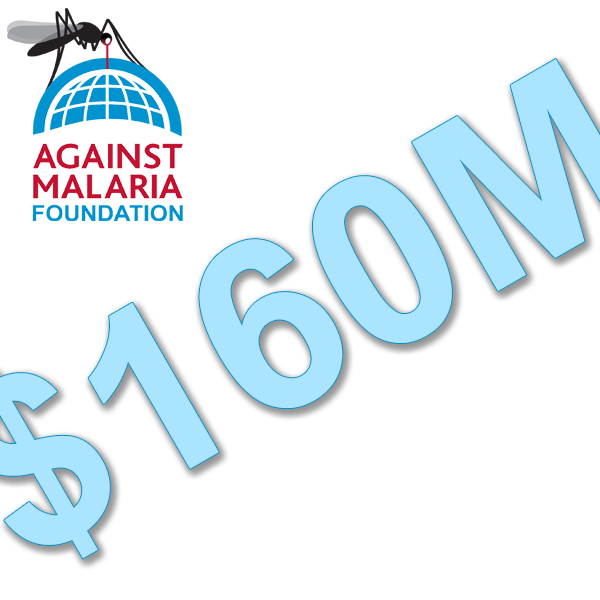 We have now reached US$160 million raised - thanks to a donation from London, England! We have also just passed 316,000 donations received, with this coming from over 102,000 people in 187 countries! As always, our sincere thanks to everyone for their support and generosity. You can see all of our previous milestones on our Milestones page.